﻿Newly opened for 2016 right in the heart of Brixton, one of the liveliest areas of London. This buzzing location is just two minutes' walk from Brixton Village Market and The Ritzy cinema. If music's your thing, the Electric Brixton and O2 Academy Brixton are both on your doorstep. In less than five minutes, you're at Brixton train and Tube stations and it's a ten minute ride into central London. Meanwhile, it's a ten minute stroll to historic Brockwell Park and a little further to lively Clapham Common. Back at the hotel you will find the new style bedrooms with luxury king-size beds, air conditioning, 40" flat screen TV and well equipped en-suites. 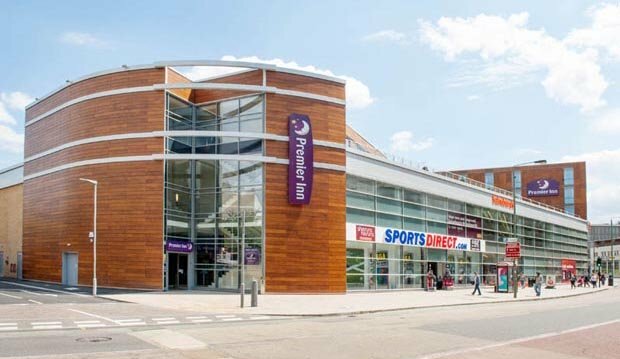 Book direct to get the best Premier Inn Brixton deals with rooms from under £59.